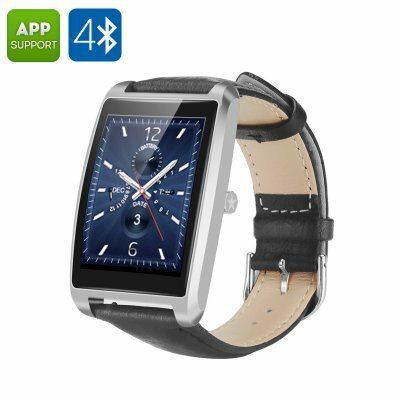 Successfully Added Zeblaze Cosmo Bluetooth Smart Watch - Waterproof, Android and iOS Support, Heart Rate Monitor, Sleep Monitor, Pedometer (Silver) to your Shopping Cart. The Bluetooth smart watch lets you stay on track with your fitness and supports Android and iOS platforms. Simply sync the watch to your phone and get loads of extra functionality: message syncing, remote camera trigger and more. You know how it goes – you switch to a different operating system and all your accessories become obsolete. Not with this Bluetooth smart watch, though! It is perfectly compatible with both platforms: Android and iOS and syncing the watch to your phone will open up lots of extra functionality. The smart watch won’t let you turn into a couch potato. It comes with Pedometer and will motivate you to get more daily exercise. The Heart Rate Monitor will make sure you are not overdoing it at the gym and Sedentary Reminder will let you know when it’s time to close that laptop and take a break. Sync the smart watch with your smartphone and get social media notifications, messages, use the watch as a camera trigger and even use voice commands. The watch comes with a 250mAh battery offering 8 hours of continuous talk time and 72 hours on standby. This watch is well protected against the elements – it’s comes with IP65 rating. It’s totally dust tight and is protected against low-pressure water jets. This means, that you can easily keep the watch on for your morning shower and not hide it during a sudden rain storm. The Bluetooth 4.0 Waterproof Smart Watch comes with a 12 months warranty, brought to you by the leader in electronic devices as well as wholesale smart watches..